What a morning! This morning we were joined by Mr Fletcher our local SSCO who presented us with our 4th Sainsbury’s Gold Award for PE and School Sport. He also presented us with the exciting prize of Lancaster and Morecambe’s Premier School for Sports Participation and Excellence! 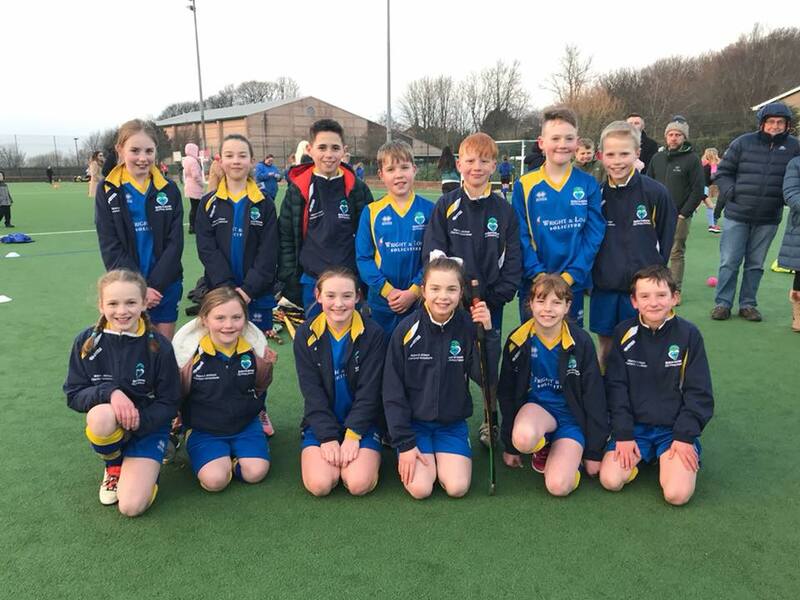 Well done to both our Hockey Teams  who this evening competed at the University of Cumbria. Both teams played brilliantly and finished 2nd and 4th respectively. BLS Blackbirds going down 1-0 to eventual winners St Peters. Congratulations to them. On Tuesday, Mr Cross received a letter from Mr Tim Fletcher who is in charge of the Heysham Sports Partnership to which the school belongs, alongside many other schools in the district. The letter contained a pamphlet that summarised the achievements of the partnership over the 2016/17 school year. It’s great to report that our school featured prominently – mainly because of our extensive participation at events and because of our excellent results in competitions. 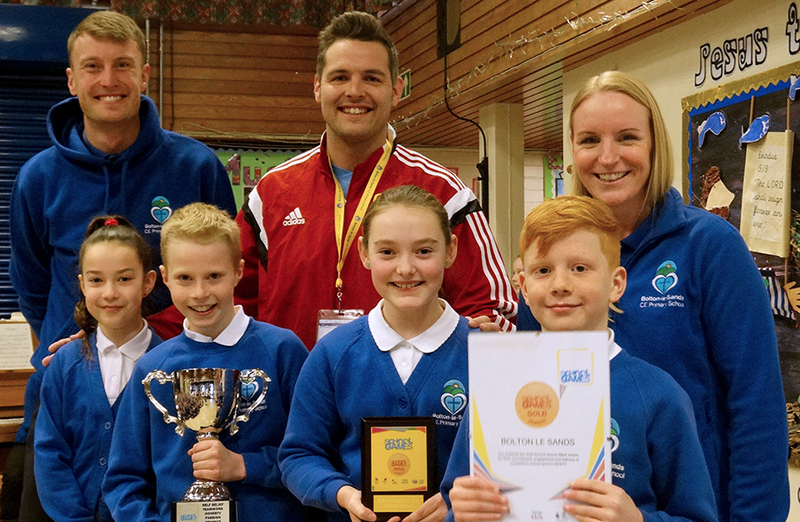 Most significantly, Mr Fletcher had begun a new award that would celebrate the achievements of schools who offer a rich diet of sports opportunities, competitions, initiatives, support and engagement. Points were allocated throughout the year and then totalled. We are delighted to report that we are the Large Schools, Schools Games Champions 2016/17. A trophy will follow and we hope that Mr Fletcher will be able to come into school to make the presentation. This award recognises the commitment of staff members, the children and their families to sport and to adopting a healthy lifestyle. So thank you everyone!